The latest version of ezCheckpersonal family finance software is now available in network version to print from home or on laptop while on traveling. Try it before purchase by visiting http://www.halfpricesoft.com. Family finance is handled easily at home, in the office or when traveling when utilizing network version of ezCheckpersonal software. "Family finance is handled easily at home, in the office or when traveling when utilizing network version of ezCheckpersonal software,” Dr Ge, the founder of halfpricesoft.com states. ezCheckPersonal is compatible with Windows 10 system, 32-bit or 64-bit. It can also run on Windows 7, 8 and 8.1 system. 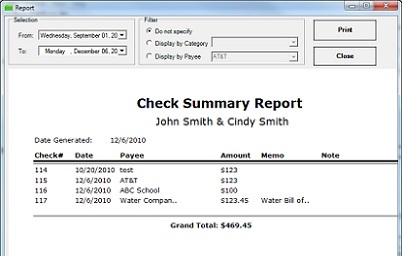 All software from Halfpricesoft.com, including ezCheckPersonal, is designed to be incredibly easy to use. 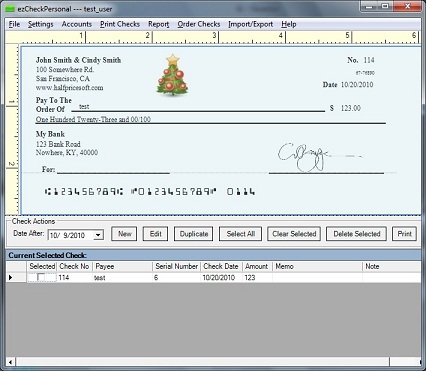 Customers can begin printing checks within minutes of downloading and installing the software. 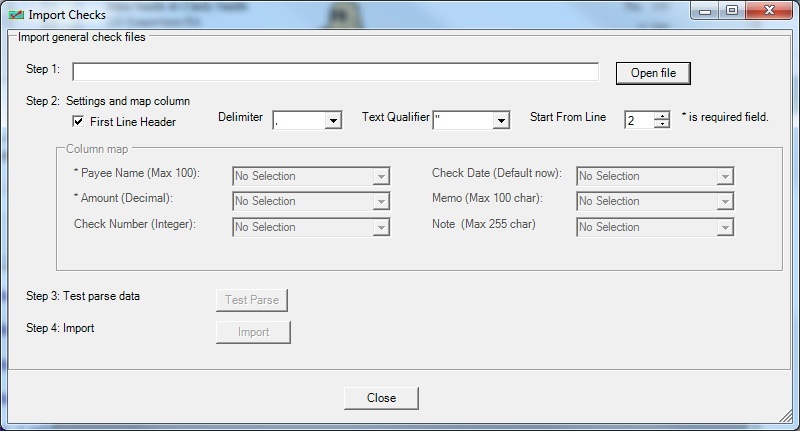 The intuitive graphical interface leads customers step by step through the check writing and printing process. 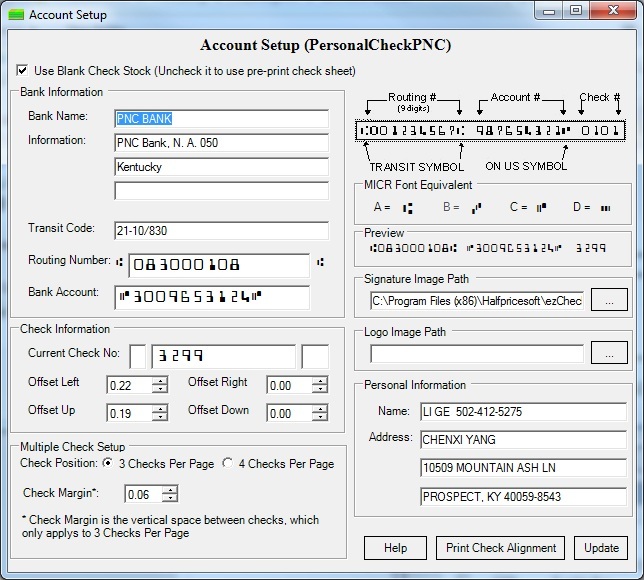 Founded in 2003, Halfpricesoft.com is the developer and distributor of ezCheckPersonal check writer software. Halfpricesoft.com also has a complete lineup of affordable and easy-to-use tax and financial software applications for small businesses and families, including w2 software, 1099 software, payroll software, check writing software and timesheet software. sample check printed by ezCheckPersonalWith ezCheckPersonal, designing and printing check is just a few clicks Quick data import feature of ezCheckpersonal softwareezCheckPersonal support quick data import feature, which allows users use it together with other software easily Check Writing Software from Halfpricesoft.com Helps Families Keep Tracking of Personal FinancesezCheckPersonal's report feature makes it easier for user to tracking spending. 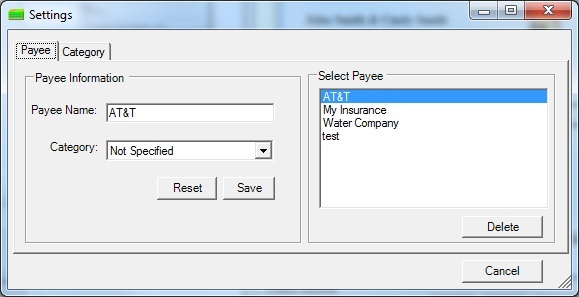 Set up payee categoryCategory feature makes tax reporting easier for ezCheckPersonal users. Check setup screen of ezCheckPersonal softwareezCheckPersonal can support multiple accounts with no extra charge ezCheckpersonal check writing software is very user friendlyPersonal check writing software from Halfpricesoft.com features easy-to-use search, report and note functions to make categorization of deductions and other tax functions easier and faster.